Today, I visited Kasumigajo Park in Nihonmatsu City on the way back from Date City in the north. 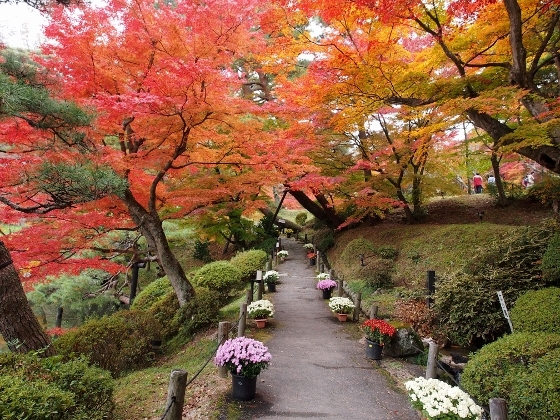 Autumn colors were at their best as shown in the picture above of autumn color tunnel along its path. 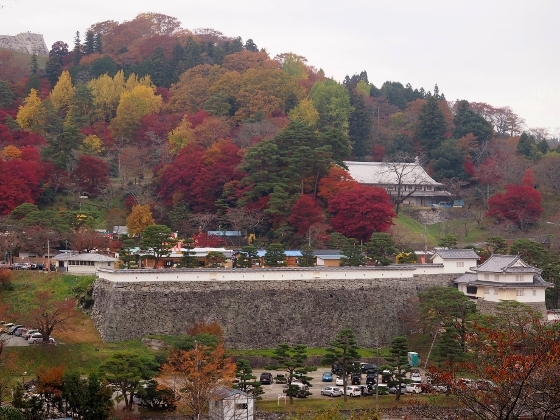 This large park was made at a historic site of Nihonmatsujo Castle ruins and was designated as a National Historic Site. 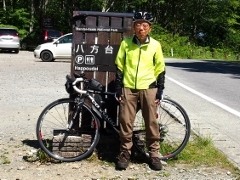 I first pedaled along a cycling road which runs through a hillside surrounding the park. 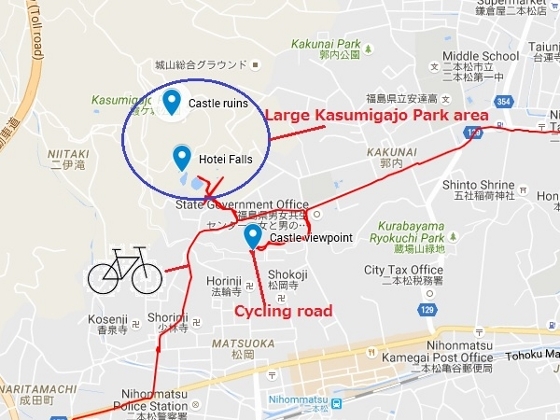 Photo above shows today's view from the cycling road, where an entire site can be seen, including Minowamon Gate in the lower right side and old castle ruins in the upper left. Leaves of trees are not showing bright colors due to cloudy weather still you can recognize the colors. 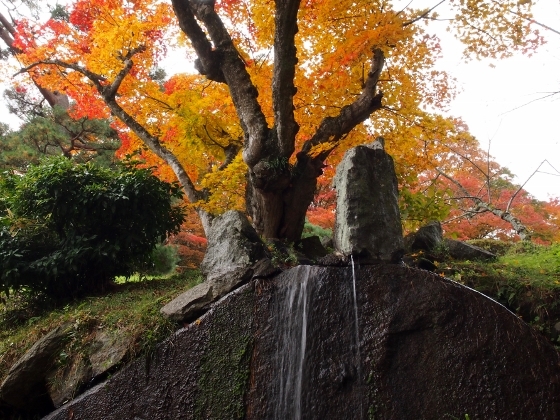 There are some waterfalls in the Japanese-style garden in the park. 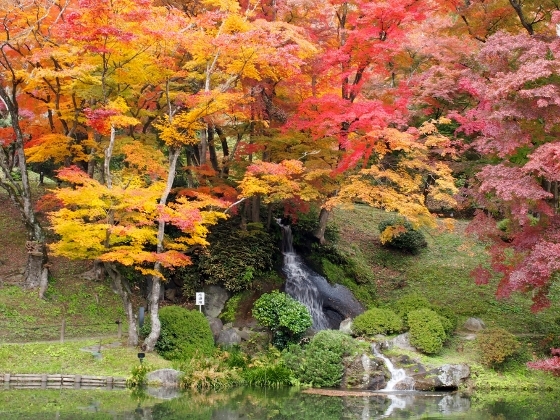 Photos above show Hotei Falls running into Ruri Pond, a front-side view and a close-up view. 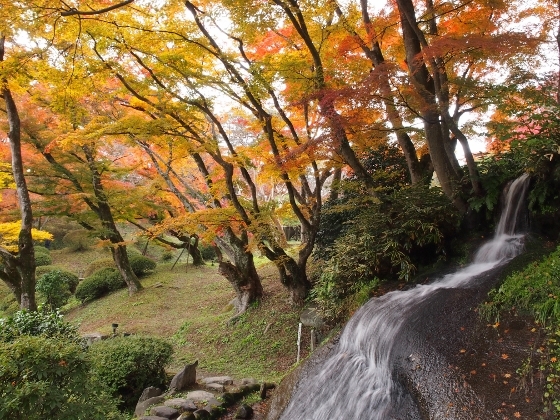 Photo above shows the smallest waterfall in the park called Kasumigataki Falls. The waterfall is barely recognizable compared to the large tree behind. A chrysanthemum doll festival of Nihonmatsu is now being held in the park until Nov. 23, 2016. 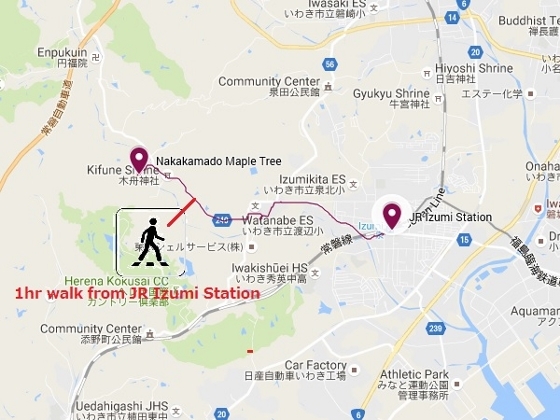 Today, I visited Date City, which is located in the northern part of Fukushima, as a monthly group study of "Omotenashi Guide Fukushima". The city triggered a fever of Datenicle this year, which is a series of animation film based on stories of famous samurai lord Date Masamune and his family. 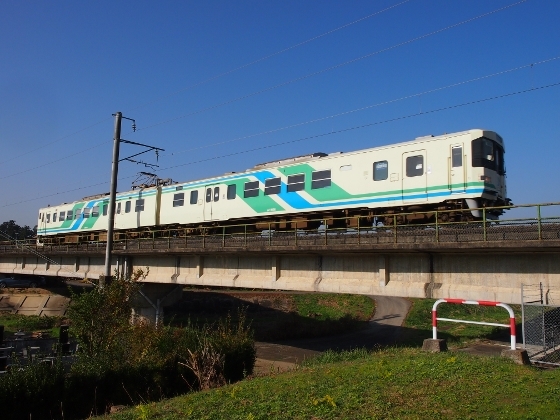 Photo above shows a wrapped train of Abukyu Railway, running near Yanagawa Station in the city. 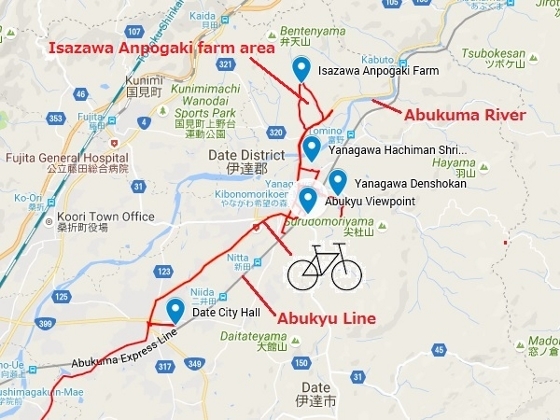 Abukyu, or Abukuma Express Railway, is a local railway which connects Fukushima City and Miyagi Pref. along the Abukuma River. 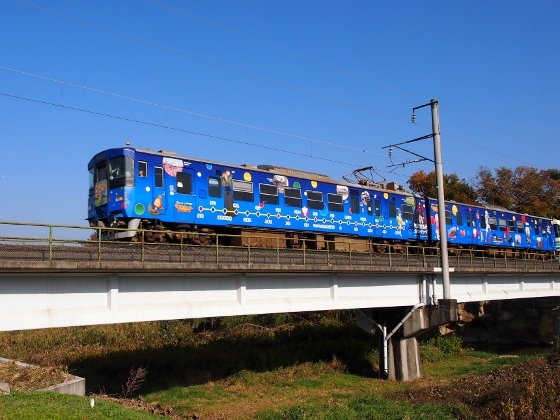 Photo above shows a regular type of train running through Date City. 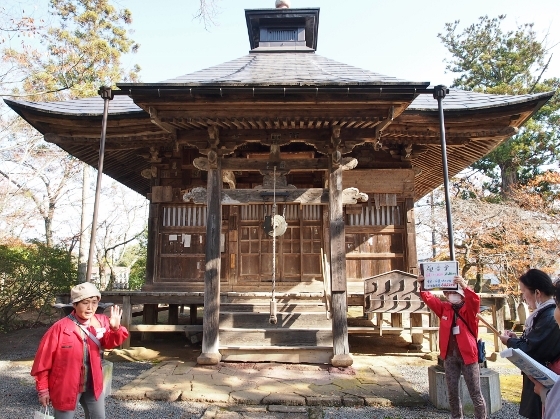 During morning hours, we had a tour through Yanagawa Hachiman Shrine, a major attraction of the city, which had been a guardian deity of Date family. Two of the local guides of the city tourist center guided us through the precinct. 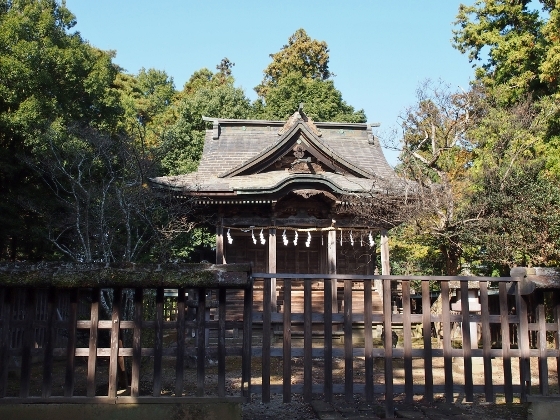 Photo above shows the main hall of the Shrine, which was rebuilt in 1745. There was an old Kannondo Hall within the precinct as shown above. The building was rebuilt in 1718. 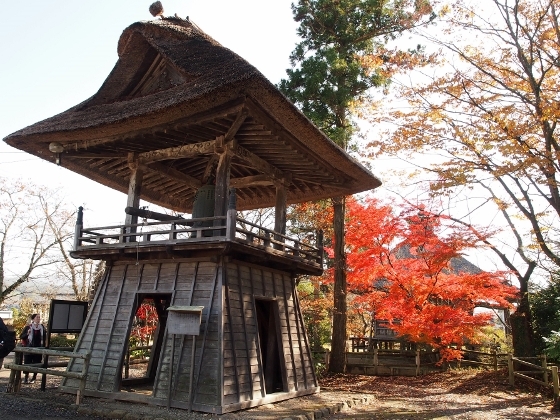 An old bell tower with thatched roof shown above sounded very nice when we hit the large bell. 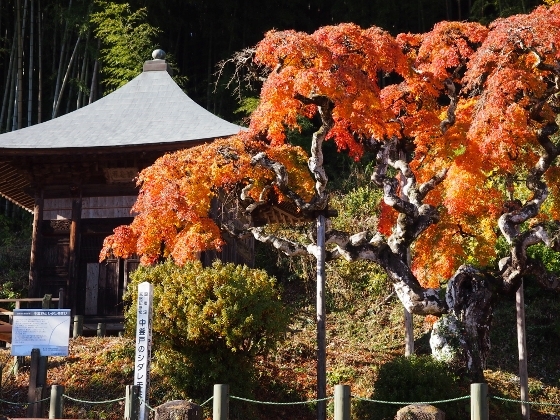 This tower belongs to Ryuhoji Temple, which has strong ties with the Shrine. At lunch time, we had a healthy and delicious lunch at Yanagawa Denshokan as shown above. The lunch was cooked entirely from local foodstuffs. After lunch, we had a special video and talk related to Masamune Datenicle at here. In the late afternoon, we visited Anpogaki farms in the adjacent Isazawa village. 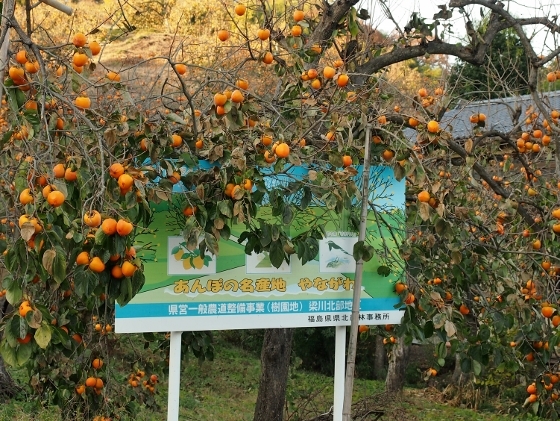 Anpogaki or sweet half-dried persimmon with orange color is a great specialty of Yanagawa District. 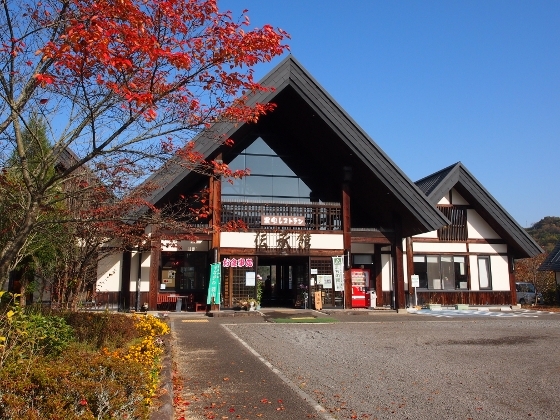 Isazawa village is a major production area of Anpogaki. 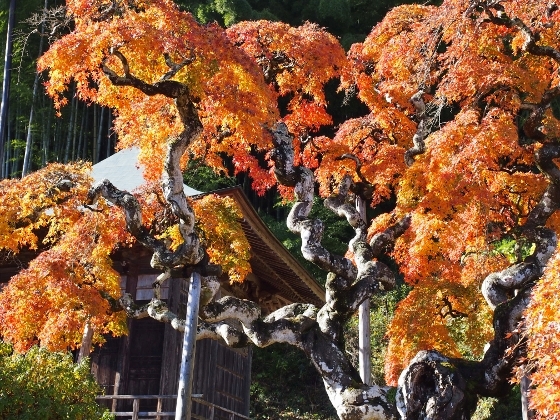 Along the hillside of Isazawa village, we could see a large area covered with persimmon trees such as shown above. 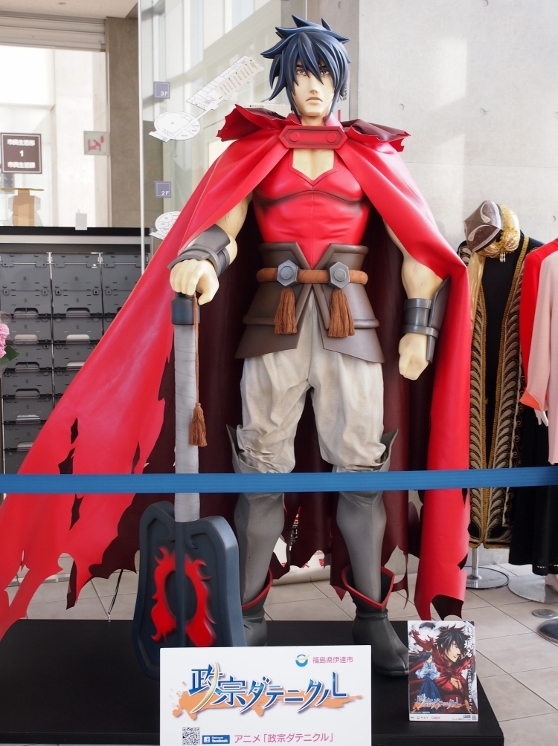 The next morning, I visited Date City Hall in Hobara District, and found a life-size figure from Masamune Datenicle animation film as shown above.